Why should young musicians be the only ones attending music camp? That’s exactly why we offer opportunities for adults to focus on music in lovely late summer at PCP! 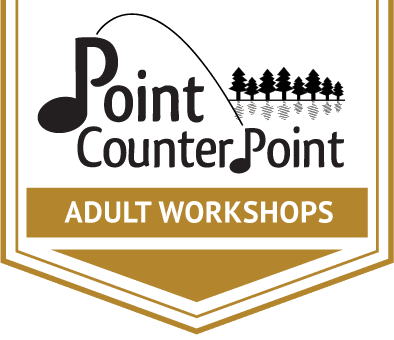 Pianos on the Point – ANNOUNCING our INAUGURAL SEASON in 2019! Explore repertoire for solo piano, 4-hands, and two-pianos, enjoy locally sourced gourmet food, and take in the beautiful surroundings of Vermont’s Lake Dunmore. The five-day workshop offers private lessons, ensemble coachings, student and faculty performances, sight-reading sessions, and optional master class participation. Planned elective classes include improving rhythm, and physical wellbeing (like Alexander Technique). 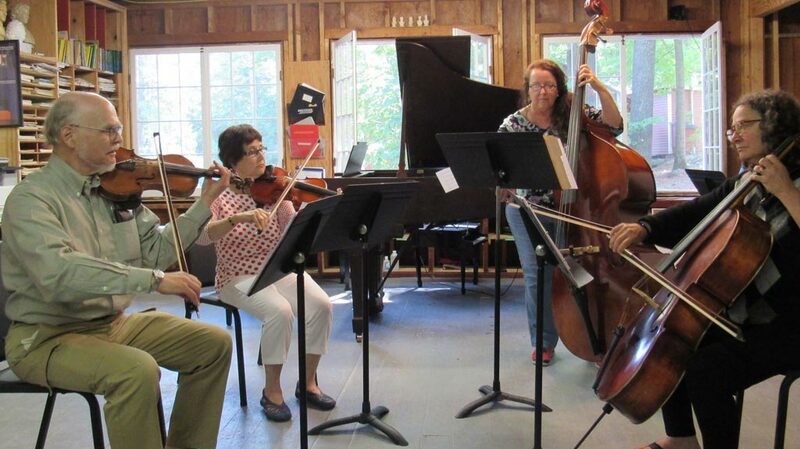 Our Chamber Music Workshop is open to strings, piano, and woodwinds and all levels are welcome. The majority of our participants have re-connected with their instruments after many years. Approximately 75% of our thirty participants return at least once, many return on an annual basis. 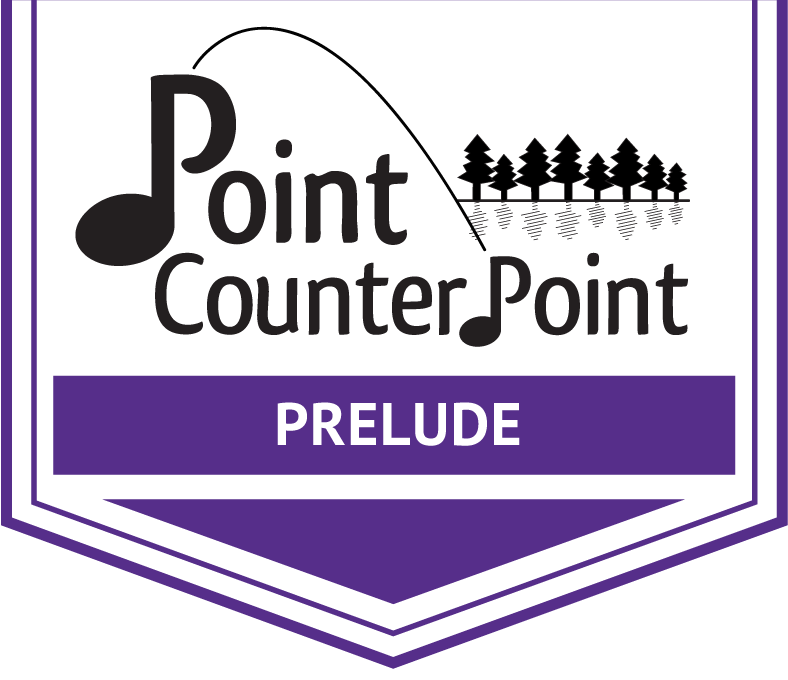 We’re a passionate group of chamber musicians who crave the opportunity to play, learn, and have fun. After dinner, Faculty sight-reads with participants. Each participant is placed in two different chamber groups which have a final performance workshop on the last day of camp. Music is mailed at least 8 weeks in advance. We have individual practice cabins, and a large Rec Hall for dining and performances. There are eleven pianos and one harpsichord on-campus. Optional private lessons are held on Wednesday afternoon for those interested; please sign-up in advance. Space is limited, so please plan to register in early winter/late spring! We encourage you to register online by April. After April, availability is instrument dependent. Registration ends June 1. Friendships, and recreation chamber music playing are often the result when participants realize their home proximity, and that they now have others with whom to play!